We at Plan The Unplanned constantly strive to bring you destinations and experiences that hold true to the phrase ‘explore the unexplored’. 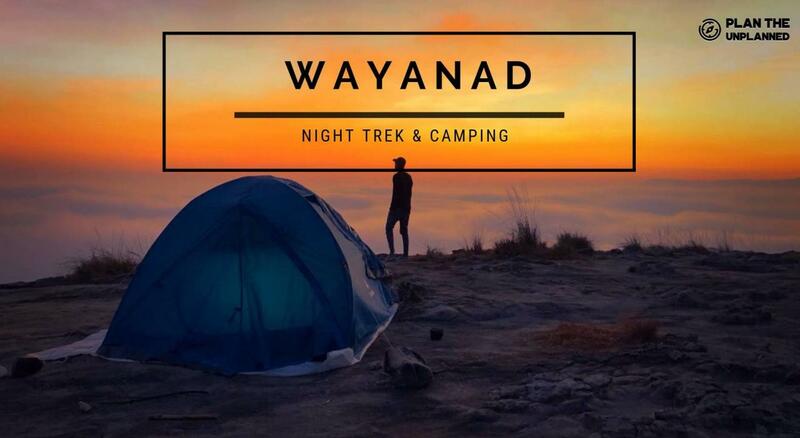 As part of this endeavour, we ensure that you experience places as a traveller rather than a tourist and our itinerary for Wayanad stays true to that statement. Let’s say goodbye to the mainstream ‘tourist attractions’ because let’s be honest, you don’t really need our help to visit them. We’re taking you on an adventure like never before to stunning places that are yet to make their mark even on Google. These hidden gems are guaranteed to give you an experience of a lifetime with an exciting combination of breathtaking views and adrenaline-pumping adventure that’ll leave you begging for more! 3. Plan The Unplanned shall not be responsible for any of your belongings, valuables, jewellery etc. Kindly do take care.